The teen and YA books can be difficult to chose. 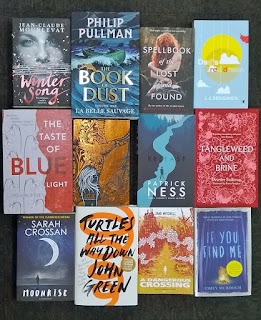 But here are some of my choices for these books from the enormous number of great books for older readers (and by 'older readers, I'm referring to 11years+) this year. 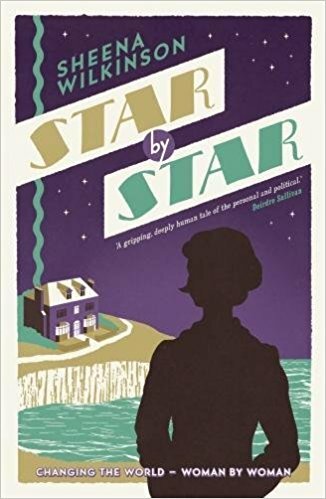 One of the best additions to this group came later this year with Sheena Wilkinsons' wonderful historical novel, Star By Star. Taking place in 1918, this book covers the end of World War 1, the flu pandemic sweeping the world and, most significantly the moment when women first had been given the right to vote. Though not lengthy, it has a great impact on the reader and is fascinating and inspirational. 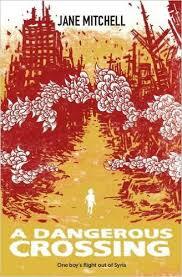 Another high impact novel for 12+ is A Dangerous Crossing by Jane Mitchell. This is the extremely realistic and heart-rending story of one boys' flight from Syria. Mitchells' research into her subject was impeccable and it paid off in a story that shows great compassion and understanding of the lives and dangers young refugees face every day. The story-telling is amazing. This is a very important book that must be read! Jess Butterworth burst on to the scene this year with an incredible tale of Tibet. 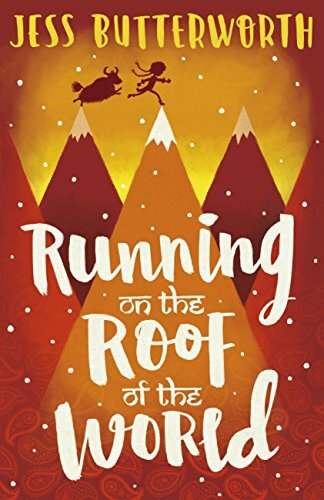 Another story of fleeing oppression, Running On The Roof of the World tells the story of two children literally running for their lives across the Himalayas to India. Gripping and insightful, it is also very unusual in its' subject, with strong characters showing great courage and determination when facing (what seem to be) insurmountable odds. And what a journey! Frances Hardinge is undeniably one of the best authors for young people working today. 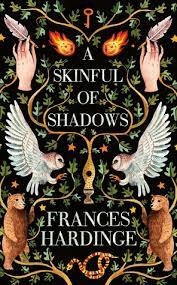 Her latest book, A Skinful of Shadows shows the extent of her skill at creating a unique world-view, keeping the reader glued to the page and, frankly, sending a chill up the spine that lasts for a long, long time. Taking place during the English Civil War, young Makepeace is fleeing a strange and unwanted inheritance while finding herself possessed of numerous spirits. Eerie, otherworldly and magnificent! 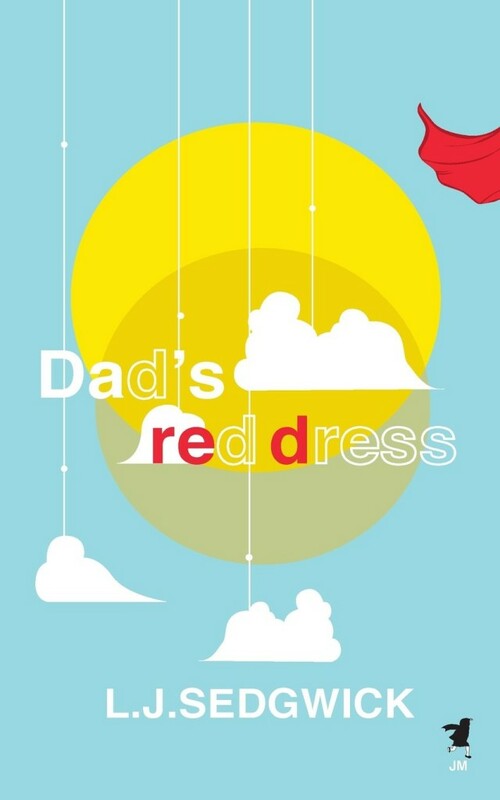 Dad's Red Dress by LJ Sedgewick is quirky, entertaining and funny. But it also takes the reader right to the heart of what it means to grow up. Filled with vivid characters and complex family drama, it is joyous, loving and unique among coming-of-age stories.It is simply wonderful. 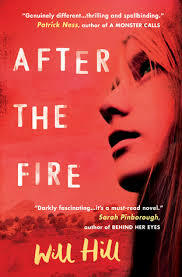 Diving into those books that I would consider well-and-truly YA, I have nothing but praise for After the Fire by Will Hill. It grabs hold of the reader from page one and refuses to let go. With a vast number of themes running through the plot, This is an inquiry into faith, society, corruption, humanity and survival. The action is explosive. 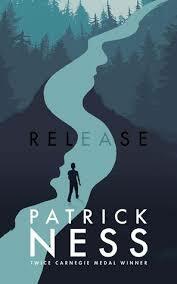 A sophisticated and tense read, this book is simply extraordinary. 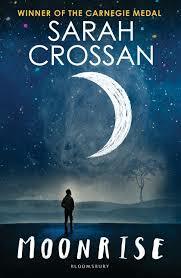 Speaking of simply extraordinary, I must insist you read Moonrise by Sarah Crossan. The beautiful lyrical verse novel is filled with genuine, tangible emotion, empathy and unanswered questions. Moonrise is powerful. I want to finish with what is, ultimately, my book of the year 2017. 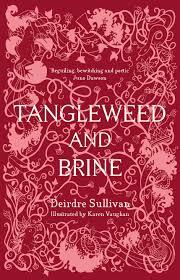 Tangleweed and Brine by Deirdre Sullivan/ illustrated by Karen Vaughn is a purely enchanting book retelling our most familiar fairy tales with a contemporary view, delving into the hearts and minds of the heroines. Beautiful to hold and to look at, it reminds the reader of what a collection of fairy tales is supposed be; of those volumes of old,calling to mind such books as those illustrated by Rackham or of Andrew Langs' collections. It promises much, and does not disappoint. Filled with intrigue, horror, strength and resilience, gentleness and love, it is not for the very young or the faint-hearted. It is for the bold, or those who want to be. Tangleweed and Brine takes us back to what fairy tales were always meant to do; to change with time and place and to lead us into deeper consideration of ourselves and the world around us. This book is a gift. A week ago, I had the pleasure of being on Galway Bay FM radios' The Arts Show with Vinny Brown. 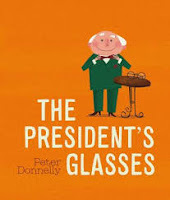 Vinny (from Charlie Byrnes Bookshop, as well as the shows' host), Des Kenny (from the world-famous Kenny's Bookshop) and I spent the hour talking our 'best books' of the season and year...and we could have gone on for another hour! Now, I thought I'd share my kids highlights from the show, as well as a few others I didn't get to say much about. 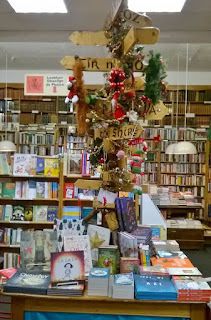 Books are frequently left to the last minute when buying seasonal gifts, so perhaps this will help. 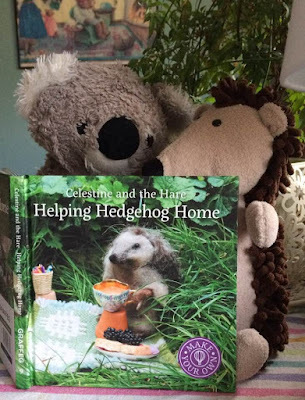 The first book I talked about is a beautiful book for everyone, young or old. 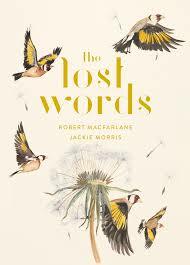 The Lost Words written by Robert MacFarlane with extraordinary illustrations by Jackie Morris was written as a response to the removal of a number of words from the Oxford Childrens' Dictionary. It was claimed these words from the natural world no longer had relevance in childrens' lives.MacFarlanes' response is a series of poems based on these words, placed within Morris' illustrations create an atmospheric and moving book that gives us all much to ponder, enjoy and learn from.This should be in every house. In the same segment, I also presented the wonderful poetry collection for children, A Sailor Went To Sea Sea Sea by Sarah Webb, illustrated by Steve McCarthy. 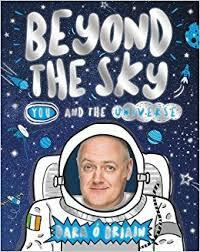 Loaded with more favourite rhymes (as a follow-up to Sally Go Round The Stars), it also includes selections from Yeats and Joyce for young ones. 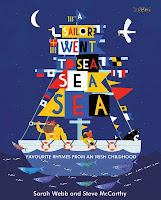 With McCarthys' illustrations filling each page, this book is simply joyous. 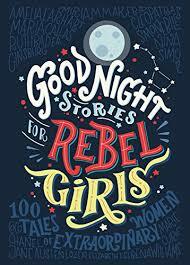 And Good Night Stories for Rebel Girls was praised all the way around. Each page holds a story about an amazing woman from history, from ancient to contemporary times. 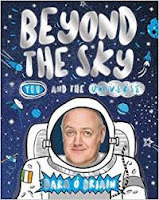 I didn't get to mention Dara O'Briains' book, Beyond the Sky; an informative and fascinating book on the Universe for young people...and for you, too. You'll learn a lot and be inspired to learn more. Franklin's Flying Bookshop by Jen Campbell, illustrated by Katie Harnett, a wonderful story of friendship, acceptance and books. And La La La by Kate DiCamillo, illustrations by Jaime Kim is a nearly wordless book about a lonely girl who simply wants to be heard. Magically, it is the moon that responds. 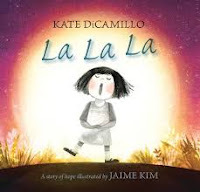 Exceptional fare from an author who simply cannot write a bad book...seriously, everything DiCamillo writes is absolute gold dust. 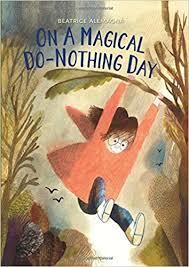 But my picture book of the year has to be On A Magical Do-Nothing Day by Beatrice Alemanga. The story and the pictures are simply perfect. 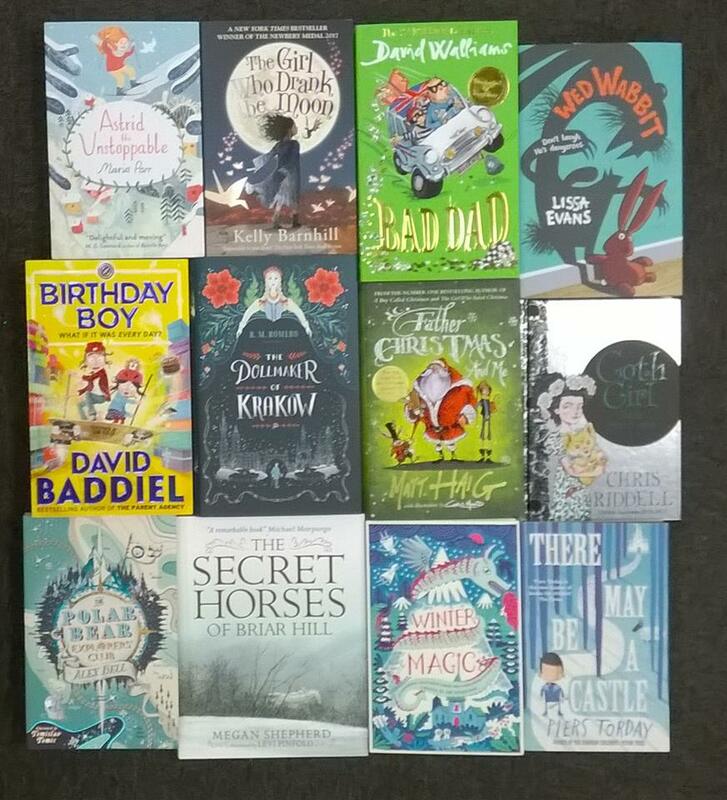 As we move into 'proper books', I want to give a couple of recommendations for younger, yet confident readers. 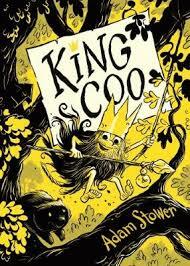 King Coo by Adam Stower is wonderful, hilarious and filled with adventure...and a girl with a beard. It is a must-read! And it is with great happiness to let you all know that Laura James has brought back everyones' favourite canine for another adventure, Safari Pug. Just brilliant! 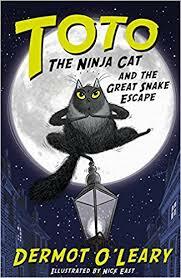 A great surprise for me in this reading level was Toto the Ninja Cat and the Great Snake Escape by Dermot O'Leary...a rollicking adventure that will leave you laughing out loud. Middle-Grade books occupy the largest share of book interest. Nine to 12 years has been called 'the Golden Age of Reading'..and rightly so. The quality keeps getting better and better. I've reviewed many of these on this blog, but now I'll mention the few I spoke about on the radio. 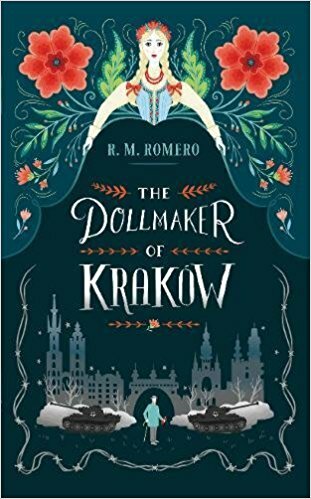 I must recommend a beautiful and unique book, The Dollmaker of Krakow by R M Romero. A gripping story that combines historical fiction with old Polish folklore, this book is timeless and moving, with beautiful illustrations throughout that create something both very real and very surreal. 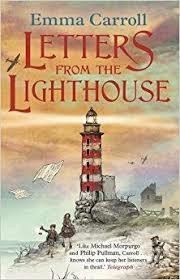 But, my MG book of the year has to be Letters From The Lighthouse by Emma Carroll. This is one that will stick you for a long time. A story of the World War 2 evacuations of children from London (to the Devon Coast, in this case) the kinder-transport, refugees and a cracking great mystery combine for a story that pushes the reader to further understanding while entertaining greatly. Just read it...you won't be sorry. 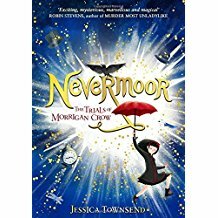 I need to mention Nevermoor: The Chronicles of Morrigan Crow by Jessica Townsend for incredible fantasy. 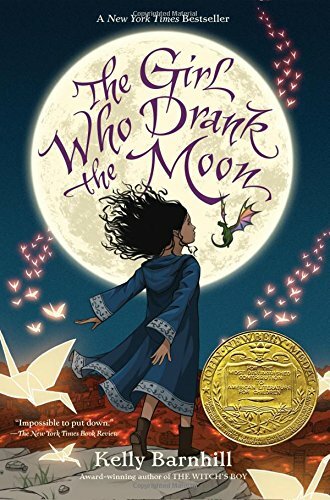 And also can't forget The Girl Who Drank the Moon by Kelly Barnsley...a wonderful fairy-tale like story with great characters and setting, haunting writing. Winner of the Newbery Award, don't miss it! 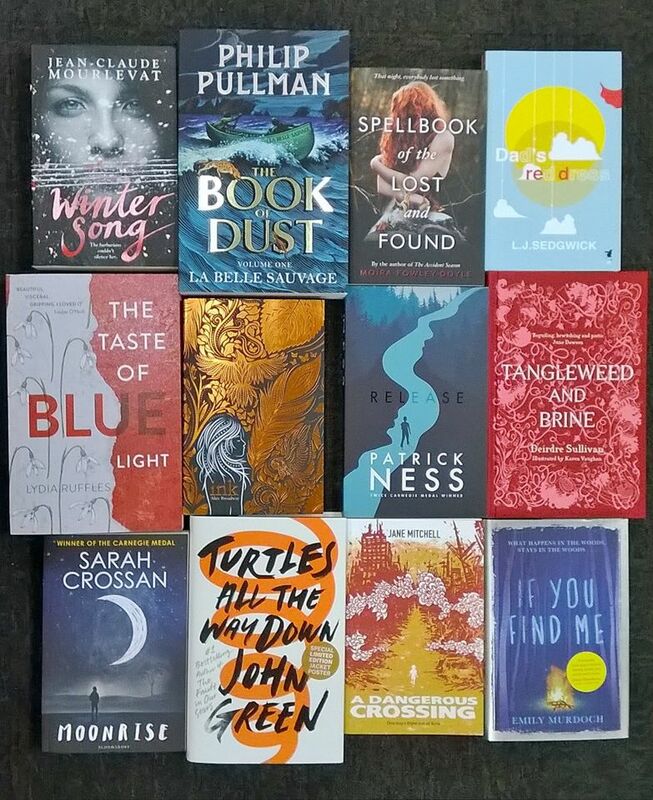 Tomorrow night, I'll continue with the teen and YA books...some incredible reads for the young people in your life that can be the most difficult to chose for...their tastes change, their comprehension increases and more complex books take precedence. Phew! It's been a busy, busy season!And it's not quite over yet. Still 3 more days of helping people find exactly the right book(s) for their friends and family. I can hardly see straight! I just want to pop in to give you my seasonal heads-up...yes, as the song says, Santa Claus is coming to town. And if you love the magic and excitement as much as I do, you really need to track him on his once-a-year global journey. NORAD is all set up to keep an eye on St Nick with their annual 'Santa Tracker' and world-wide, we can watch him travel round the world in his sleigh, stopping off at every house. It's great fun! And it lets you know when all the little ones have to be in bed before he drops off the goodies. 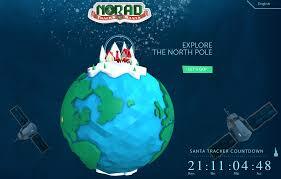 Right now, you can explore the North Pole, play some games, learn about holiday traditions around the world and read the story of how NORAD started tracking Santa...lots to do. There's even a countdown clock so you know exactly how long until Santa starts his journey. Check it out! And the recommendations keep coming! The holiday season is rolling on rapidly. 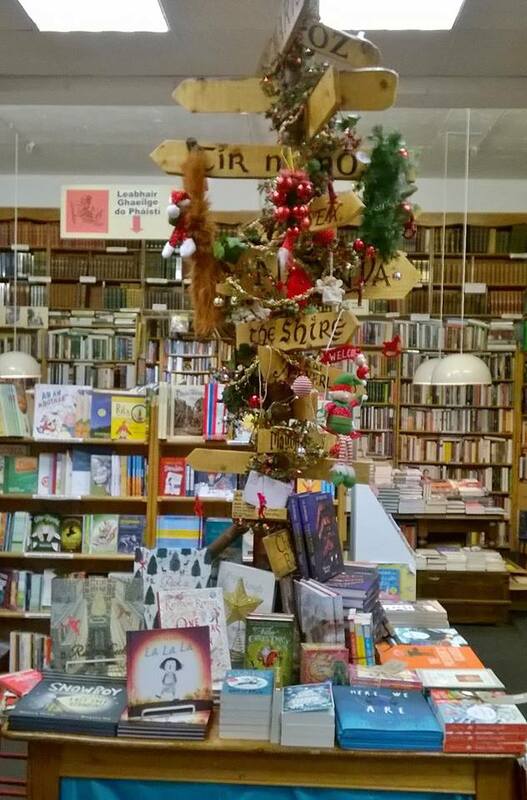 In a few short days, the shopping will stop, the presents will be wrapped and we will, hopefully, be cosy and warm at home enjoying the company of family and friends...and for us busy booksellers, getting a few days rest. But that doesn't mean it's time to stop consulting and recommending. Oh no! It's time to pick up the slack to help you create your own personal Jolabokaflod! At my place of work, I'm busy in the childrens' section; stacking and re-stacking, arranging and rearranging...and replacing. Can't leave any gaps! And I am determined that you, my dear customers, find exactly the right book for the young people in your life. 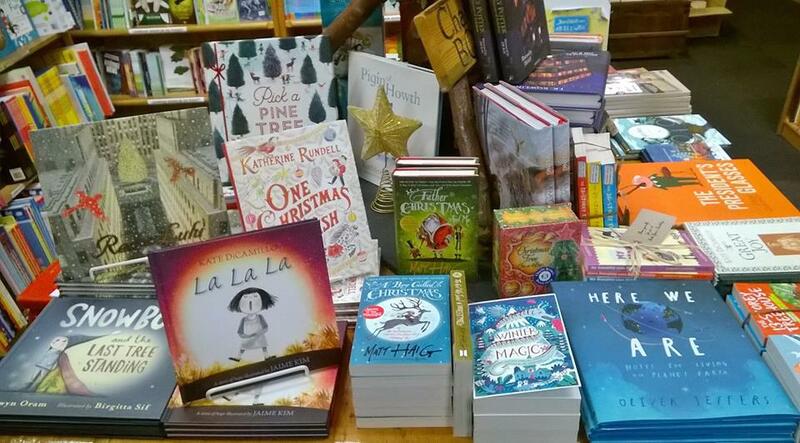 Have a look at what's under the tree at Charlie Byrnes Bookshop for children and young adults...there is so very much there, chosen with care and attention to cater to your needs and wants. Welcome December...welcome lights and trees, hot chocolate and pretty paper and bows. And as I sit here waiting to begin the Late Late Toy Show Bookelves Bonanza (see previous post...we start at 9:30pm....not long now), I also say WELCOME to Mary's Advent Calendar of Books 2017. Each year, starting December 1st, I open a new page on this blog and begin my Christmas countdown (or is that countup?) Every new day, you will see a new book that I recommend for seasonal reading....some old, some brand new, all favourites of mine. This is something I really love doing every year. Nothing better than digging out the books and talking about them. 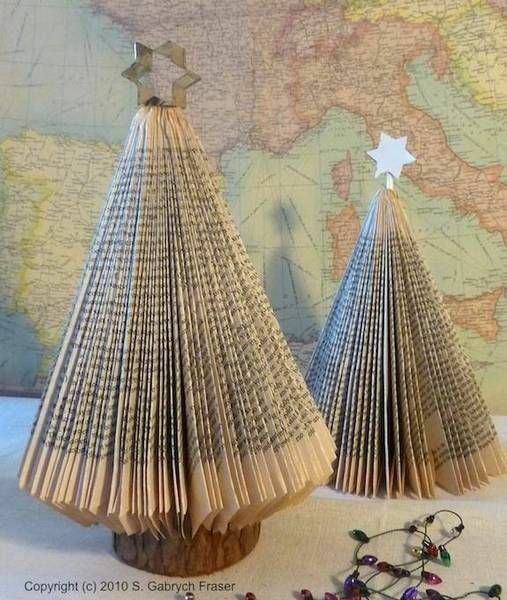 Some of the books will be specifically Christmas themed, but some are simply 'winter' books. I try to cover all age ranges from 0 to 18. Read them by yourself or share them with friends and family over the season. Oh, and all you grown-ups out there who believe you're too old for childrens' books....don't believe that one second longer. I also want to mention a tradition I have (and have had for quite some time). 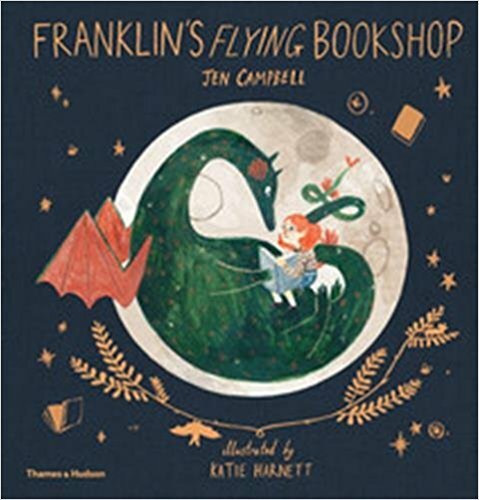 Each year, I always buy myself one special book for Christmas...usually (but not always) a beautiful, seasonal hardback picture book to keep and read over and over every holiday season. As you might imagine, the collection is getting rather extensive. Every year, the collection comes out at the beginning of December and goes 'to bed' at New Years. Something you might want to do....or maybe you have been doing this all along. It does make for a special bookish treat for Christmas. 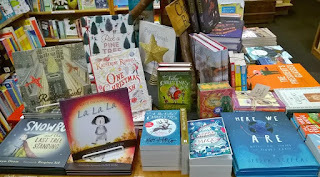 So...look over to Mary's Advent Calendar of Books 2017 page and enjoy!